FIFA 17 Beta testing is not available for everyone. Find out how you can improve your chances to be invited and play it. Test the game before everyone else. We will explain to you how to improve your chances to play the FIFA 17 Beta. 3. You must have played FIFA 16 regularly. 6) Check if FIFA is available in the right side of the screen. If it is check its box. If it’s not, come back later if it was added. 4) Click ‘Save Preferences’ button. Only players that are invited will be able to play the FIFA 17 Beta. They will start sending invitations in early August, gradually for each platform. Stay alert to your mail box, the one you use for your FIFA account, to see if you were invited or not. Pay attention to all folders, including spam. The number of spots is limited so as soon as you receive the invitation, if that happens, you’ll need to register in order to guarantee yours. You don’t have better chances to play the FIFA 17 Beta if you live close from EA offices, played thousands of FIFA 16 matches or are a professional player. Game advisors cannot authorize and provide email invites if you did not receive one. As you see, the best you can do to improve your chances to play the FIFA 17 Beta is to follow our three simple tips. Be aware that updating your contact preferences, your game test program and the FIFA Insider status may not be enough to be invited to the FIFA 17 Beta. FIFA 17 Beta invitations will likely be sent around in early August, gradually for each platform. If and when you receive your invite and code, the game will be available for download on your console sometime in last week of August. Eligible fans should be invited to the game mode they are most active within. The FIFA 17 Beta testing will includes Ultimate Team, Pro Clubs, Career Mode, Online seasons and eventually the brand new game mode The Journey. Keep also in mind that, every single FIFA wesbite and Youtube channel who published anything about FIFA 17 Beta, used the information we provided here in our website. So, if you want to be updated about more FIFA 17 Demo details, the best thing to do is to follow us. In the meanwhile, don’t forget to take a look to our original FIFA 17 Beta Guide. Today we will cover the Tottenham Spurs but you can also expect FIFA 17 ratings predictions for the other five biggest English Premier League clubs. I have wriiten Arsenal and Liverpool, you can take a look if you like them. 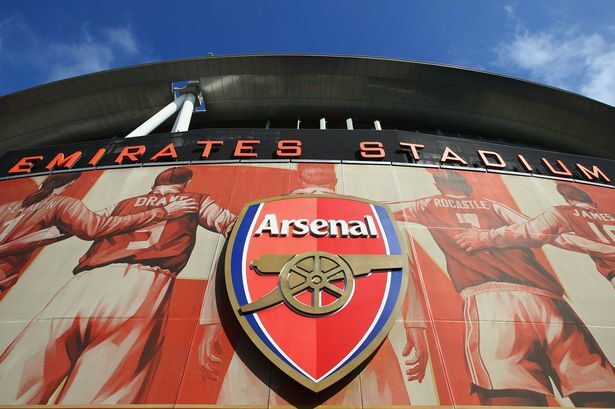 The North London side enjoyed their greatest season in an era, with a serious title challenge mounted for the first time in years, a strong young core of English players emerging in the club and many considering the football Spurs played as the best in the country. Like Leicester, they would be a fair bet for a substantial group of upgrades in FIFA 17. Captain for his club and country, Lloris is a prime candidate for an upgrade to a top rating for his position. His solidarity in goal for Tottenham was a key part of the side’s phenomenal defence, and was one of the players of the tournament for France at the Euros – which leaves an upgrade as a likelihood for next season. Vorm spent the majority of the season on the bench behind the club’s captain, leaving him with a handful of appearances to count for over the year. A change in rating seems very unlikely for Vorm as a result. Walker enjoyed a strong season with Tottenham as the potential he showed in previous seasons came to fruition over the 15-16 campaign, and was one of the better players at Euro 2016 in an exceedingly poor campaign for England. An upgrade seems very likely for Walker heading into FIFA 17, being positioned as one of the best full backs in the league through his performances last season. Behind Walker, Trippier’s ability as a full back has developed nicely – his role as deputy full back was well performed across the Europa League campaign, and as a result would deserve a decent boost to his rating for FIFA 17. Another player with a long history of undelivered potential, Rose may be on the way to a significant upgrade next season. Like Walker he was one of the stronger performers at Euro 2016 for England, and his solid performances across the season were key in delivering Champions League football to White Hart Lane, leaving him a prime candidate for a major upgrade. Just as Trippier was a strong deputy for Walker, Davies served as a strong back up for Rose over the season, being paramount to the Europa League and Cup games Tottenham played across the season. As with Ramsey his success with Wales at the Euros should see an upgrade delivered to the full back, moving him up a few ratings. Vertonghen has been a strong performer for Tottenham for years and with a strong Tottenham finish the centre back should be in line for a small boost in rating. His solidarity and physicality at the back was hugely beneficial for both club and country as Vertonghen was amongst the most consistent performers for Belgium in their tournament, and can expect an upgrade for next season. Amongst the best defenders in the country last season, Alderweireld continued his strong form from Southampton with a phenomenal debut season at Tottenham, reaching the team of the season and widely considered to be the best signing of the season by many. A strong Euro 2016 ensures that the Belgian defender should earn a decent upgrade for FIFA 17, and a rating that matches his stature as one of the best defenders in the Premier League. The young Austrian was an excellent deputy for Vertonghen whilst the Belgian was out injured, proving solid in the winter months of the season and thus a likely candidate for a small upgrade. It wouldn’t be a surprise to see him move to a rare card as well. 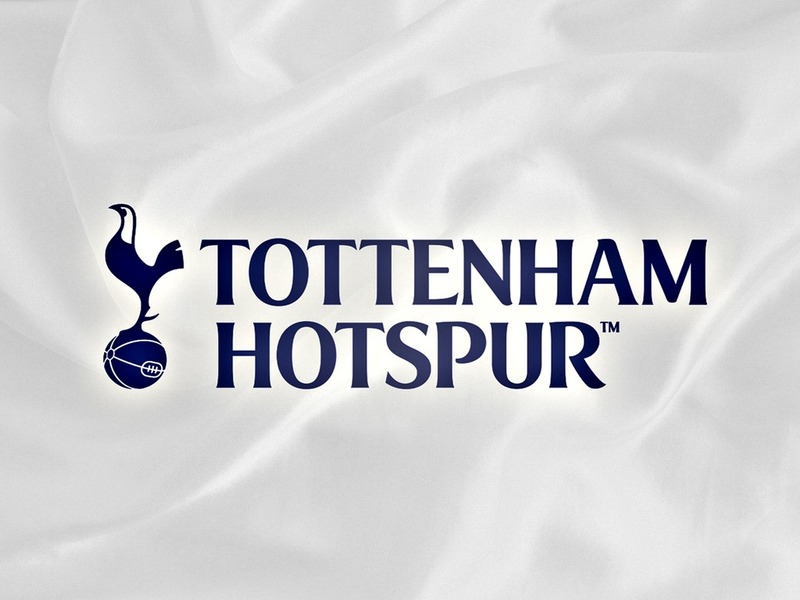 2015-16 may be the season in which the promise and potential of Lamela was finally realised for most Spurs fans – the Argentine was the second top scorer at the club and consistently performed when required for the team. A decent upgrade should be delivered for a player who finally looks to be at home at Tottenham. Chadli, though largely confined to the bench, showed his talent with a fair few goals despite playing out wide to accommodate Kane across the season. Whilst an upgrade would be a push, it wouldn’t be a major surprise as the player has more than impressed when given the chance by Spurs. Perhaps even more impressive than Chadli is the South Korean Son, who proved his role as one of the best impact substitutes of the season with consistent goals and assists from the bench. His technical skill, pace and ability on the ball should see him take a sizeable upgrade going into FIFA 17, and enter the 80+ zone for player ratings. Tottenham’s Danish maestro is well in line for an upgrade, with yet another strong season at the heart of Tottenham’s attacking heart. Eriksen continues to prove his ability and refined talent with each game he plays, and 84 in honesty would be a tame prediction in my opinion – an 85 rated card would suit the player just as nicely. A player who Fulham fans (like yours truly) could have told you would be great back in 2012, Dembele finally received recognition for his talent in 2015-16 with greater focus on his talents exemplified by his role in the middle of the pitch. The Belgian will almost certainly get an upgrade going into the next game, the question seems more steered towards how great the upgrade will be – it should be fairly substantial. Wanyama will have had his season sullied by his record as the most red carded player of the Premier League last year, which reflects on his often reckless nature – however his move to a top 4 team, as well as the high placing finish of Southampton should see him retain his rating for FIFA 17. Mason only had a sparing role in the Tottenham team, which would make a potential change in rating unlikely going into the next game. A continuation of his 75 card looks likely. The same can be said of Bentaleb, who appeared even less than Mason did over the season. His talent and ability with the ball should be enough to keep his rating as gold next season. The PFA Young Player of the Year, Dele Alli was one of the stand out players of the season with his progress as a midfielder in the Tottenham starting line-up. With a prolific goals and assists tally, a place in the Premier League team of the season, outstanding performances across the entire year, and the reputation as one of England’s brightest talents in years, EA look set to hand Alli one of the greatest upgrades of the year, and despite a poor European Championship I see Alli making a huge leap to a gold card. Harry Kane was another player who took the limelight across 2015-16, taking the Premier League golden boot and scoring 20+ goals for Tottenham for the second campaign in a row. As one of the best players in the country for his goal scoring form, a major upgrade should be seen for the Englishman – though the dismal Euros may have knocked back his potential for upgrade. Either way, I feel as though he should be well in line for a sizeable upgrade and ranked as one of the best strikers in the league. N’Jie had the misfortune to play behind a player who spent the whole year in outstanding form, thus hardly got a game in the role of striker and when asked to play ended up shunted out wide. 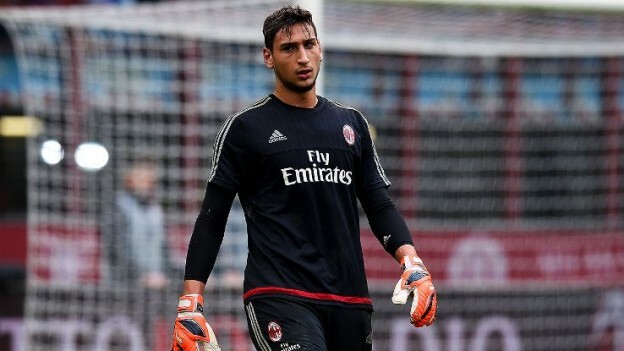 The young striker probably will keep his rating for next season as a result of his lack of play time. Janssen is one in a long line of talented young players to move from Eredivisie to the Premier League, and with an exemplar 27 league goals at the end of the 2015-16 season a considerable jump from silver to gold could be on the way for the Dutchman. With the FIFA cycle almost coming to an end, and EA in the process of creating the next installment in their franchise, there is no bigger time for the FIFA team to analyse and study the ability of the players residing in their game. From the upcoming youth players at your average League 2 team to the superstars of Messi and Ronaldo, every player will be reviewed to get a measure of how accurate their ratings are, and whether they need updating. 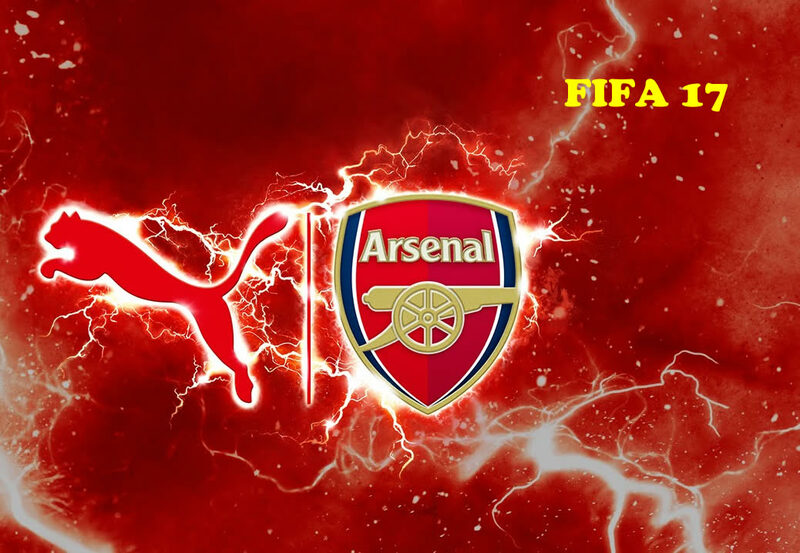 I have covered the liverpool, today I will give you Arsenal Players’ Ratings Predictions, but you can also expect FIFA 17 ratings predictions for the other five biggest Barclays Premier League clubs. Cech is definitely within the best keepers in the division– however his age is definitely catching up with him and mistakes were made across the season, if across time intervals too wide to be considerably noticeable. 86 is probably too high a rating for a season like Cech’s, which will probably see him given a minor downgrade, though nothing more than that for the legendary Czech. David Ospina appears to save his best performances for his country, as whilst his season with Arsenal was marred with high profile mistakes and a lack of confidence in him from manager Arsene Wenger, his performances at the Copa America showed he does hold ability as a goalkeeper. As his strong international performances lie clearer in the memory, I don’t see Ospina’s rating being knocked down this season. 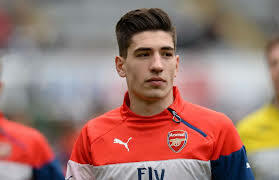 Bellerin emerged as one of the most promising young players in 2014-15, and his continued excellence in 2015-16 should see him receive a major upgrade into next season. Perhaps the best of Arsenal’s often shaky defence last year, I fully expect him to enter the 80+ zone and rank as one of the best right backs in the division, with a strong upgrade for FIFA 17. Positive performances with West Ham should see the English full back earn a small upgrade to jump up to a gold rating. Though he is nowhere near claiming a spot in the first team ahead of Bellerin it is clear that Jenkinson is decent enough to be a backup player a la Gibbs in the Arsenal squad, and that should be reflected in a small upgrade. Monreal certainly had a decent start to the season but performances tailed off over the second half of the season for Arsenal – and defensive lapses cost the club dearly when trying to maintain their title challenge. Whilst his season was by no means downgrade worthy, I don’t feel he warrants an upgrade given the considerable boost he earnt last year – thus keeping him at 80 for now. Gibbs didn’t feature often for Arsenal over the season, which will have been frustrating for him as he looked decent whenever he featured – and had he been given more playing time could have made a stake for an England place at the Euros. Instead his lack of playing time leaves him keeping his rating for next year. Koscielny is a defender who divides opinion – some see him as a mistake prone liability for Arsenal, and others see him as an intelligent tackler and the best defender the club have. I lie more in the latter camp – whilst he has and did make costly mistakes across the 15-16 season, when at his best he is crucial for the club, and his performances at Euro 2016 when many pointed at France’s defence as a weakness highlight this. I see him maintaining his rating just about next year, if largely through the solidarity he showed at the European Championships. If Koscielny keeps his rating at a push then there can be no leverage with Mertesacker, who did not enjoy a successful season with Arsenal. Though he suffered from injuries across the campaign his recklessness and sluggishness leave him exposed against offensively capable teams, and often his defensive weakness left his team throwing away valuable points across the season. I think his rating has been in need of a downgrade for a while, and I can’t see him keeping 83 next season at all. The Brazilian CB was called into action numerous times over the season, with both Koscielny and Mertesacker falling victim to injury and suspension at differing points in the season, and was unable to really stamp his authority at the back for the club. I think a minor downgrade is reflective of a disappointing season for him. The versatile young defender, like Gibbs before him, was decent when given playing time but didn’t hold enough playing time to really warrant a change in rating. Whilst I would be pushed to predict a minor boost due to being silver, and a young player, I don’t see his rating changing next year. Whilst I do not dislike Walcott it cannot be argued that if he wanted to be judged as a striker his performances were not great, and being dropped for the Euro 2016 squad will be a huge blow to Walcott’s standing as a player. However I feel that he is nowhere near as poor as some people make him out to be, and as a winger does and can perform for Arsenal if given a chance. If EA decide to move his card to striker then I can’t see him keeping his 81 rating, but I reckon he’ll be left at RM and just about maintain his current rating. The fact that Oxlade-Chamberlain broke into the Euro 2012 squad at 18, and didn’t get into the squad this year, is perhaps a testament to the struggle that the guy has had over the last season. Injuries haven’t helped but the Ox isn’t making the progress expected of him and I don’t think his performances have done enough to keep him at his current rating. A winger who did impress, however, was Joel Campbell, who proved to Wenger that he is well worth a place in the Arsenal squad. Strong performances whilst Arsenal’s squad lay injury ridden and some crucial goals should put Campbell in line for a moderate upgrade for FIFA 17, and perhaps give him the platform to challenge Walcott and Oxlade-Chamberlain in the future. Ozil probably ranks as one of my favourite players around at the moment, easily being the best offensive based player at Arsenal last season and possibly the only one to really show up in the second half of the season. His assisting exploits were phenomenal to watch in the first half, which pretty much guarantee he’ll keep his esteemed, world class rating – but in order to move a rating higher from an already world class figure he needed to be exceptional to an even greater degree – and thus I don’t see him having done enough to move any higher for FIFA 17. Which is a shame, as I do think both at the Euros and for Arsenal he was exceptional. Another personal favourite of mine, I think Cazorla faces a fight to keep his 85 rating for FIFA 17. His long periods out injured was a major factor in Arsenal’s major dip in form around the Christmas-New Year period, which count in his favour, however he failed to score a single goal and wasn’t selected for Spain’s Euro 2016 squad, which may well cost him his 85 rating. I remain optimistic and have predicted a continuation of the 85, as he is without doubt one of the most technically gifted and intelligent players in the league when, though a downgrade would not come as a major surprise. Ramsey had an OK season with Arsenal, in which he wasn’t as good as his previous two seasons, yet it will be his exemplar performances with Wales at Euro 2016 that give him the upgrade into FIFA 17. Arguably one of the players of the tournament I would be surprised if EA don’t place his card further into the 80s – his absence for Wales in the semi-final arguably cost them the game. I expect a significant boost for FIFA 17. Wilshere spent almost the entire season injured so moving his rating up or down does seem unfair, especially when he was given so little playing time at Euro 2016 by England. His card being non rare was an odd choice by EA so that might change, though given the rating doesn’t look set to change I don’t see any change on that front either. Coquelin had a mixed season – whilst it was nowhere near as impressive as the initial 2014-15 breakthrough and had plenty of games where he looked reckless and inexperienced, his role in the heart of the team is key for Arsenal and he does have ability in the role of CDM. I would expect his rating to remain the same going into FIFA 17. As with many transferred players the stature of the Premier League alone virtually guarantees a ratings boost going into the next title. Elneny looks set to be a back up player for the team though I would still expect a minor boost for the next game. Sanchez’s league season with Arsenal was inconsistent – he had games where he was unplayable, and the clear star of the Arsenal attack, and then periods where his form dipped off and couldn’t find his goalscoring form. A clear drop off from 2015-16 – yet his brilliance at the Copa America put to bed any potential room for a downgrade, being crucial in Chile’s triumph at the tournament. I can’t see Sanchez moving down from 86 as a result of that. Giroud is another player who divides opinion – he can be wasteful and lethargic in one game, and an unplayable goal machine the game after. His goal scoring tally is never poor yet he doesn’t hold the same recognition other strikers with similar tallies do. And he takes the brunt of Arsenal’s chance conversion problems yet often isn’t the person missing the chances. I find myself torn on the guy, and I see both arguments – and I think his form at Euro 2016 will allow EA to see both arguments and keep his 82 rating for next FIFA, as being part of a tournament like that will ensure he doesn’t lose his rating. This might be a controversial one! Danny Welbeck suffered from a long term injury that kept him out of the first half of the season, and another one that kept him out of Euro 2016 – yet his ability as a forward was perhaps seen in a run of games played by Arsenal in which he scored, and his general ability as an impact substitution in the team. Whilst he is by no means the best striker around there is no doubt he is a valuable player to have in the squad for Arsene Wenger, and I reckon EA may just about see this and push him up to an 80 rating. FIFA 17 is going to come to us. Players are very curious player rating. Today, we will predict the FIFA 17 Liverpool player rating predictions, including Sturridge, Coutinho, Firmino, Karius and Clyne. Despite injury keeping him out of most of the UEFA Euro 2016 qualification phase, Sturridge was named in England’s squad for the UEFA Euro 2016 finals. He is an extremely quick player, and he has technique at pace. Sturridge as a striker in most games, his ability to still drop between lines and pull wide and attack defences, similar to former strike partner Luis Suárez’s playing-style. Considered to be an archetypal Brazilian number 10 playmaker, Coutinho has been used as an attacking midfielder, second striker and on the flanks, where he excels at providing assists for team-mates. In 2015/16, 26 of Coutinho’s 33 appearances under Klopp came on the left wing, as the former Borussia Dortmund manager was clearly set on his Brazilian maestro as first choice on that flank, while Firmino andLallana were most regularly stationed in the centre and the right of his supporting unit, respectively. 2015-16 season, the first round of the English Premier League, Liverpool 1-0 away victory over Stoke City. The first 78 minutes of match, Firmino replace Ibe, completed in the first show of the new owner. Firmino has excellent offensive ability in the field, both as attacking midfielder also use as speed winger. Firmino’s strengths lies in his ornate foot of technology and excellent acceleration ability to control the ball in the narrow space. Karius is one of Germany’s most talented goalkeeper. Karius biggest bright spot is close to the fighting ability of the ball. Another great feature is his ability to attack the ball off, and this is often being underestimated. His attack is confident and decisive and currently pick the ball attack success rate of 88%. In the positioning the ball defense, which was an important part. 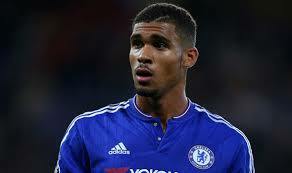 A versatile player, Can can also play as a defensive midfielder, centre back or full back. In Liverpool’s UEFA Europa League match against Rubin Kazan at Anfield, Can scored his first goal of the 2015–16 season. He was praised by Klopp for his improvement and became a key cog in Liverpool’s midfield. Allen is a hard-working, tactically disciplined and tenacious, albeit not overly physical, midfielder, who is capable of aiding his team both creatively and offensively courtesy of his ability to transition the ball from defence to attack effectively after winning back possession. A versatile and gifted player with a low centre of gravity and quick feet, he is capable of playing in several midfield roles. Due to his vision, composure in possession, efficient passing, and ability to dictate the tempo of his team’s play in midfield as a playmaker, Allen has been described as the “Welsh Xavi” and as the “Welsh Pirlo” by former Liverpool manager Brendan Rodgers. Now the Manchester United reportedly interested in Liverpool’s Joe Allen. In Liverpool’s first European games against rivals Manchester United, Clyne won a penalty that Daniel Sturridge converted in the first leg, and conceded a penalty scored by Anthony Martial in the second, as Liverpool won 3–1 on aggregate in the last 16 of the UEFA Europa League. Mané scored twice in a 3–2 victory over Liverpool on 20 March 2016 (despite missing a penalty), followed by five goals in the next five matches, including a hat-trick in a 4–2 victory against Manchester City on 1 May. He finished the season as Southampton’s top scorer, with 15 goals in all competitions. On 28 June 2016, Mané joined Liverpool for an initial transfer fee of £34 million on a five-year contract. The transfer fee made him “the most expensive African player in history”. Mamadou Sakho to wear No.3 shirt for 2016-17 season. In 2015/16 season, Sakho was praised in Liverpool’s victory over Borussia Dortmund in the Europa League quarter-finals. He coped against in-form striker Pierre-Emerick Aubameyang in the 1–1 away draw in the first leg, and then scored a header as they mounted a late comeback to win the second 4–3. Alberto Moreno had an incredibly mixed campaign for Liverpool. He has long divided opinion over whether his offensive traits make up for a lack of consistency and reliability in defence, but events over the latter part of 2015/16 might well have seen the decision made by the manager in any case. There’s no doubt that Moreno is a gifted player in a technical sense, and his pace is a huge asset, but equally as important is the mental aspect of the game and it is clearly here where Moreno falls short of having the capacity to be a truly top player. Henderson plays as a Box-to-box midfielder and is widely regarded as a player who works hard and brings energy to the team. Described as an “athletic and hardworking midfielder,” Henderson has developed his game during his time at Liverpool into a more creative player. Although he had a difficult time last season due to injury, he’s a proven Premier League performer who has yet to reach his prime. But with Marko Grujic already on board and Wijnaldum possibly soon to join him, Henderson may find himself out of the starting XI. Lallana plays for Liverpool because he is tactically intelligent and game savvy. He has boundless energy to execute a pressing game, has the ability to pass and he is developing more conviction when gets into shooting areas. Lallana like Barcelona midfielder Andres Iniesta commander, always make teammates better, improve the combat effectiveness of the whole team. Lallana is one of the most talented players on the England game. This is not the official EA FIFA 17 predictions, if you do not agree our views or have a different views, you can leave a message about the player. When the news dropped that FIFA 16 would include women’s teams, a lot of players, men and women, were pretty psyched. Users could choose from over 12 national teams and could compete in either match day, an offline tournament, or online friendly seasons. 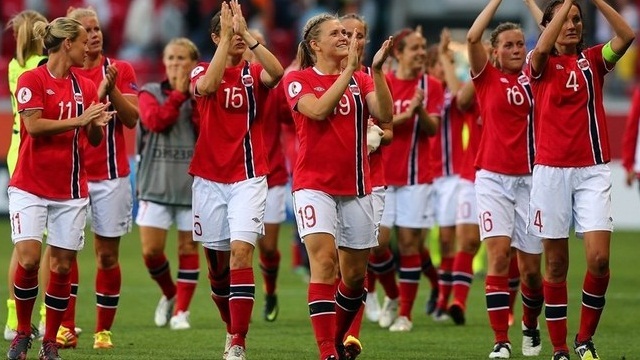 Now it’s been confirmed that FIFA 17 Women’s National Teams will be featuring in the game! It appears that FIFA 17 will see an expanded list of Women’s National teams, rumoured to be 16 teams in total. We’ll update all the confirmed teams here. The first new FIFA 17 Women’s National Team making the list appears to be Norway after a recent leak from the Norwegian forward Ada Hegerberg. The Olympique Lyonnais forward posted to her Instagram with a picture of what appears to be an EA face scan / interview for the game, captioned “#FIFA17 . Rumored that COD also wanted some of the pictures.” Norway are currently ranked 11th in the FIFA World Rankings for 24th June, 2016. Based on the FIFA World Rankings from June (shown in brackets) and previously included teams in FIFA 16, we can begin to speculate which FIFA 17 Women’s National Teams will be included in the game. You’ll notice that certain teams such as Japan, who are currently ranked 7th, were not included last year. This makes us think that they won’t feature this year either. 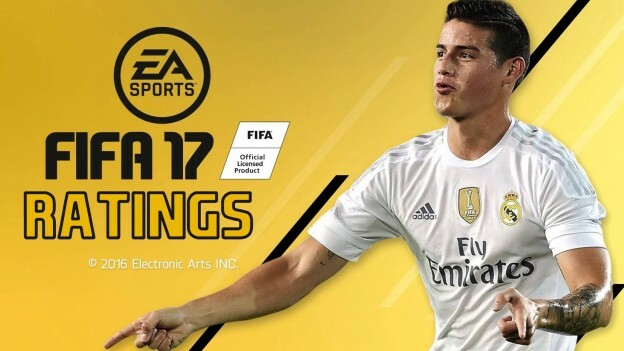 It’s likely that all teams that EA obtained the licenses for last year, will be returning to FIFA 17. Which FIFA 17 Women’s National Teams would you like to see included in the game? If you have any information, share it in the comments! Having smart teammates makes you a better player and this is very apparent in FIFA 17, which introduces a few key elements that make for better decisions on the pitch. We talked to Sam Rivera, lead gameplay producer for FIFA 17 to share how the new Active Intelligence System functions in FIFA 17. Share with us what’s new in FIFA 17’s Active Intelligence System. To me, this is my favorite element. This is a game changer from the first minute you start playing FIFA 17. The difference you see is that there will be more and smarter activity from other players on the pitch. Your teammates are always doing something to create space or come and support. They understand better what’s happening. 1. Predicting the future and what could happen at any given time during an attacking play. 2. Understanding when the dribbler is ready to make a pass so teammates time their run correctly. 3. Understanding and ranking attacking space. In the past, AI players would not take the chance to run into an area if there was a defender already there. Now, how the defensive line sits will factor in how a player gets into space. If no space is avaiable, that doesn’t mean a player won’t make a run, but they will look at other options to create an open passing lane. But, if there is no clear passing option, AI controlled players will try to confuse the defenders or come closer to create a passing option. This way, the player with the ball can pass it and not lose possession. When you play, you will see support when you need it; when you need attacking runs, there will be those options available as well. Shifting gears slightly, what was done regarding CPU AI? 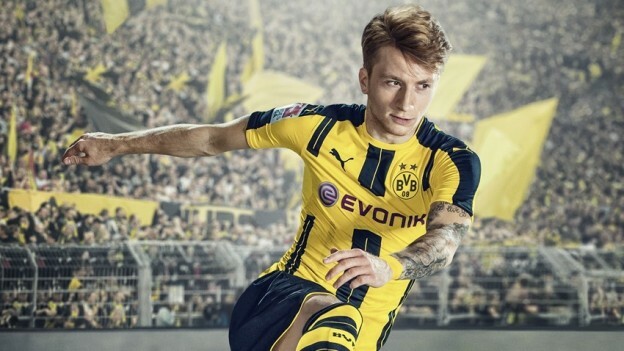 What can those who play against the computer expect in FIFA 17? We paid a lot of attention to the CPU difficulty because we want everyone to have a fun experience playing the CPU in all modes, such as Career mode or kick-off matches. Outside of fine-tuning the gaps between our different difficulty settings, we adjusted it so the AI isn’t ball hogging. We heard from fans who were unhappy that the CPU kept possession for too long, leading to them just passing it back and holding on to the ball. Now, the CPU will play more directly while the player should have more of the ball. When the player has the more of the ball, they’re having more fun. Additionally, we tuned the CPU AI to have more variety in play-styles, both offensively and defensively based on the team’s attributes. FIFA player stats are always the subject of much debate and FIFA 17 will be no different. Part of the beauty of football, of course, lies in its unpredictability – not just when it comes to results and performances, but also when it comes to players. In the case of the Premier League, this has been the most unpredictable season ever, and we’ve seen stars emerge from places we never expected. Gameplay is a backbone of the FIFA franchise and it’s something the team at EA Vancouver is incredibly proud of. FIFA 17 continues this legacy with new ways to attack your opposition’s goal. 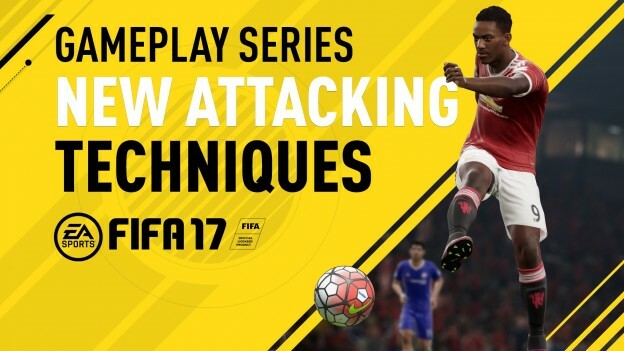 To get a better grasp of all the different attacking techniques available in FIFA 17, we spoke with Sam Rivera, lead gameplay producer for FIFA 17 to explain it. As usual, another international tournament has made us realise there’s a larger footballing world out there full of talent that we underrated or hadn’t even heard of. Obviously there are players we’d love to include from the Euro 2016 championships, but can’t, like some of Iceland’s semi-pro heroes, or Portugal’s Renato Sanches – who doesn’t have a FUT card, but will almost certainly have a highly rated one in FIFA 17. There are some international players who performed so well they’ll have to be given a higher rating, because they were the stars of the show. We can’t wait to slot them into our team in FIFA. Let’s go through our starting line-up. 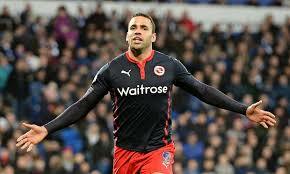 Forget for a moment that Robson-Kanu currently has no club team because his stats will need a major boost, ASAP. FIFA 16 has him rated at 66, which makes him a silver player. The most egregious of those stats, however, is his physical one at 70. Sure, Wales fans will remember him forever for the Cruyff Turn against Belgium, but he held the ball up in a manner that reminds us of how Kevin Davies did for Bolton Wanderers, barging defenders off the ball and strong-arming them away. Hal has shown he’s a menace up front, never giving a defender a moment to rest, and we’re sure he won’t be without a club when FIFA 17 comes out. It may seem obvious to include Icelandic players in this list, but not all of them are as unknown as you might think. 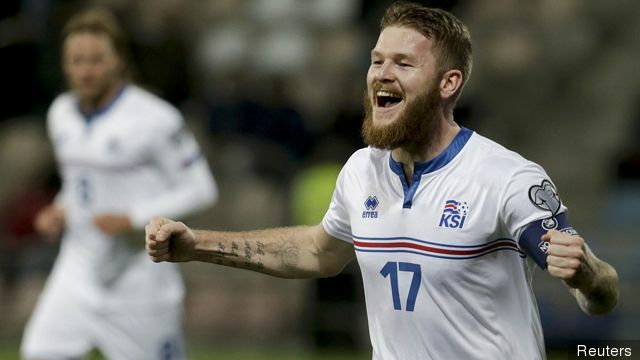 Another silver rated player (at 68), Gunnarsson is a combative midfielder who runs his socks off in every game – a tireless player with a huge throw in, yet his stats in FIFA suggest a run of the mill, average player. He absolutely taught the English midfielders a lesson about endurance and effort though, and for that alone he needs a major bump. At the fledgling age of 21, Duda’s record in Poland suggest he should already be rated higher than the 71 that FIFA 16 has him pegged at. A playmaker with 16 goals for Legia Warsaw, he scored against Wales and even played out of position up front against Russia. Time will tell if he can become a truly great player (and he has time on his side, remember), but for now he needs bumping from a 71 rated silver card, that’s for sure. 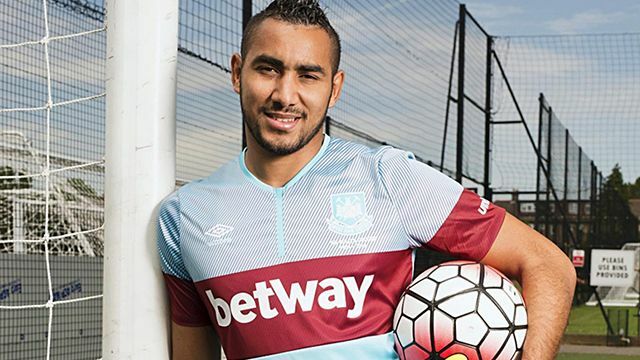 Having had a phenomenal season for his West Ham in the premier league season, Dimitri Payet turned up for his first tournament with his international team and immediately made a huge impact. He’s a player that makes you hold your breath when he’s on the ball, yet somehow has a shooting rating of 76, and a physical rating of 68. Yes, the man who keeps banging in these beautiful goals from outside the box and looks like an earthquake wouldn’t shake him off the ball has those ratings. Due an upgrade? You better believe it. Scoring a headed goal against Italy to help your national team qualify out of the group stages cannot be understated, but it’s Brady’s resolute defensive abilities to keep out teams containing players that, by rights, should be way better than him, that truly make him stand out. A 65 rated silver player, with 51 defense and 61 physical, there’s no question Brady needs an upgrade, and fast. Somehow, one of the best performers in the Premier League last season is rated only 76. 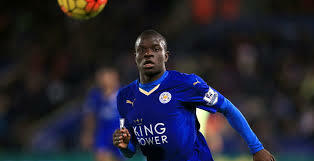 Kante is a player who goes about his business quietly, but is so incredibly important to his team. His physicality, passing, and pace are all underrated and need bumping up for FIFA 17, and while his national colleagues like Paul Pogba are rated a full 10 points higher than him overall, he’s absolutely essential in any team. His rating must be changed. 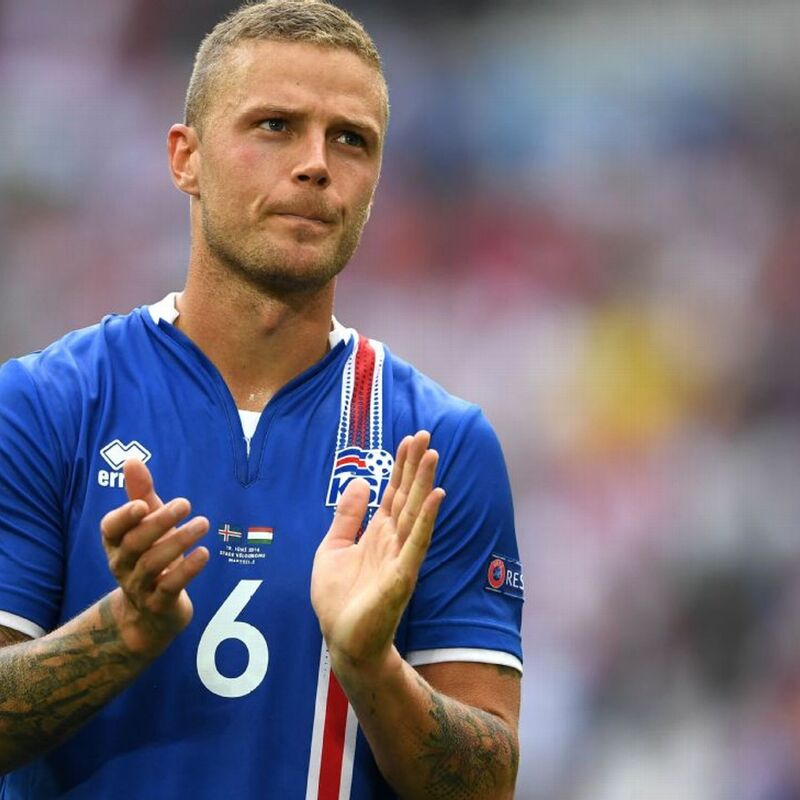 Another Iceland player, then, and one that’s had his name called out multiple times due to his last ditch tackling skills. When the underdog performs so well it’s hard to single out individuals, but his stats belie the qualities he has shown this summer – so much so that even at the age of 30, his club has set his transfer value at ￡4 million. Managing to defend so resolutely is enough alone to require his stat upgrade, but he even manages to score now and again. Rated only 71 in FIFA Ultimate Team, it seems it’s not just us that thought highly of Zielinski, as Liverpool’s manager Jurgen Klopp is apparently very interested in signing the 22-year-old. A player that can play in almost any of the midfield positions, yet has fairly low stats in every area that counts (69 pace, 65 shooting, 70 passing, 50 physical), it seems that this is a player who is on the rise, and his FIFA card will need to match it. 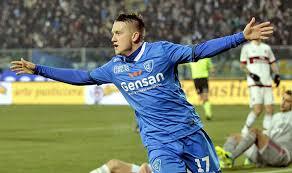 The football world is blooming with extraordinary players rising up from club academies and second division leagues. The likes of Dele Alli and Marcus Rashford received an astounding attention following astronomical rise to the Premier League platform. The followings are the potential of the best U21 Players in FIFA 17. 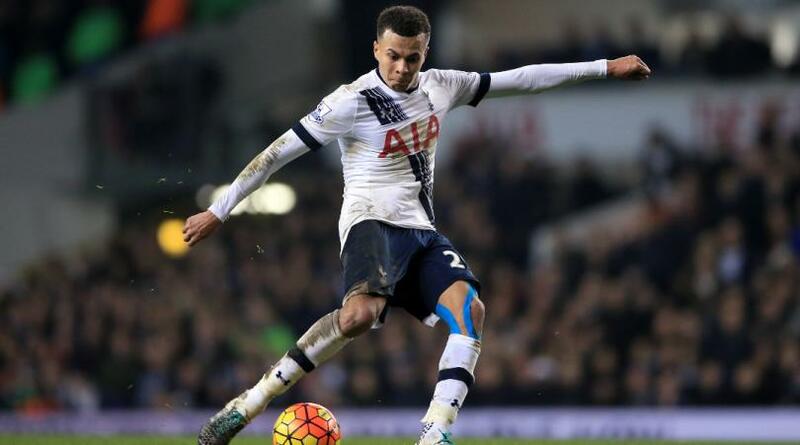 PFA Young player of the year Dele Alli was an integral part of Tottenham’s breath-taking season in 2015/16. The England international made 46 appearances for the London club last season scoring 10 goals – all in the Premier League. 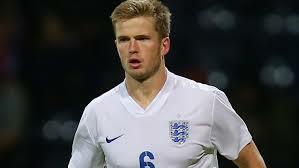 The 20-year old attacker also made 8 appearances in the England international team. 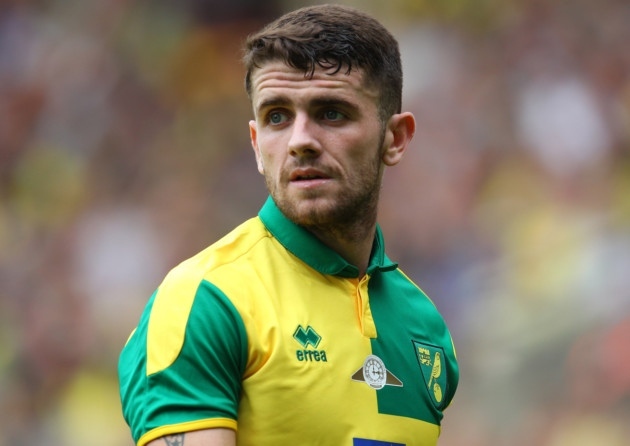 Former MK Dons midfielder was included in the PFA Premier League Team of the Season 2015/16 for his exquisite performance under Mauricio Pochettino. Alli’s awe-inspiring dribbling abilities and finishing makes him the finest under-21 player in FIFA 17. Dele Alli is expected to have the pass rating and vision ratings as high as 99, while his overall is likely to linger around 88. French international Anthony Martial has been a sensational new face in English football this season. Introduced in the second half against Liverpool, the 20-year old lifted the entire stadium at the Stretford end with a match-ending third goal that was eventually awarded the ‘Manchester United Goal of the Season award’. 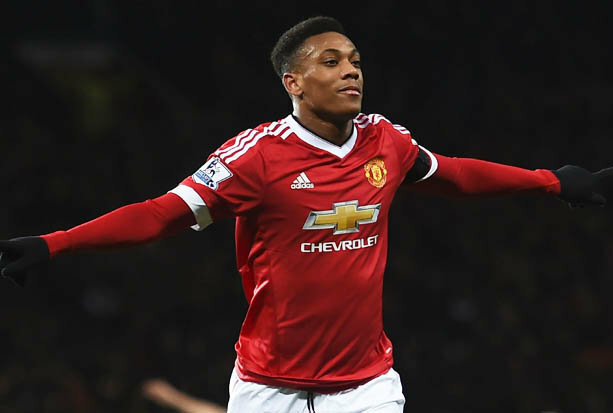 Anthony Martial was a key player in Manchester United’s FA Cup winning season under Louis Van Gaal. The Frenchman is hailed for his marvellous ball control and blasting runs past defenders in the the final third. With 17 goals in 47 appearances for the Red Devils, Anthony Martial is certainly going to be one of the best skilled attackers in FIFA 17. 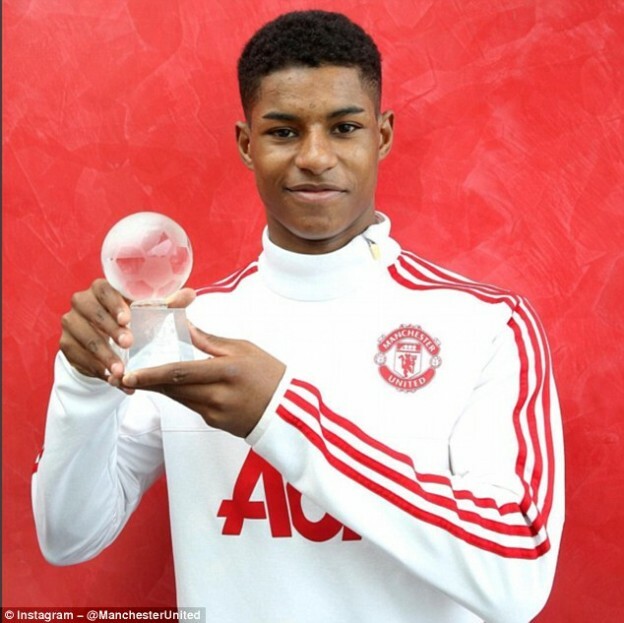 “The fairy tale continues!” Only notable achievements at Old Trafford under Dutch manager Louis Van Gaal was the introduction of a long list of exciting new talents in the spotlight – the biggest of them all being Marcus Rashford. The 18-year old made his debut for the Manchester United senior team scoring 2 goals in Europa League against Midtjylland ascribed to Anthony Martial’s pre-match warm-up injury. Rashford scored yet another brace for the Red Devils against Arsenal in a 3-2 home win, only 3 days after the Europa League match. 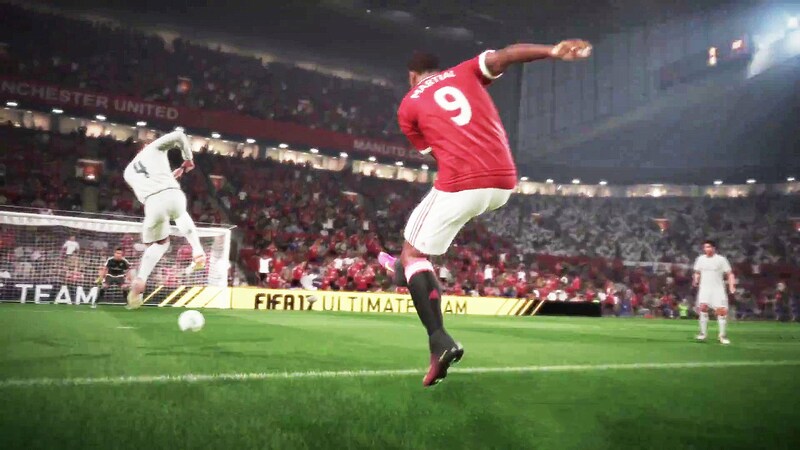 Marcus Rashford will certainly be a new name in the EA Sports game releasing this September. The striker is very likely to have above 90 ratings for both his acceleration and dribbling skills. 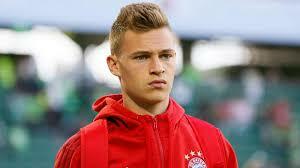 The 18-year old is very likely to be one of best finisher in the new edition of FIFA.